Oh honey that is not good, I so wish they'd get lost...the headaches that is! I the ice bags look kinda cute though. I'm sorry to hear about your awful headaches but this ice bag is way cute. Oh, goodness. 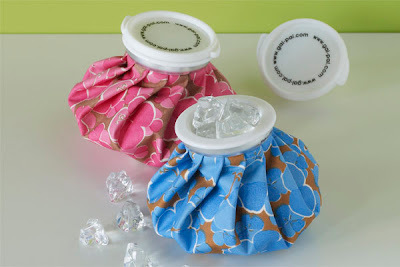 I think the ice bags are great, but wish you didn't have the headache. Lori, I am so sorry you suffer from these headaches. I can't image how you go about your days feeling this way. I hope someday soon they find a the miracle drug to cure these headaches once and for all..or at least to relieve the pain immediately.